Are you looking for an Airbnb coupon? 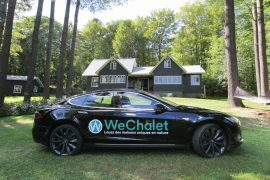 If so, here’s my Airbnb referral link which will give you a rebate on your first trip as a Guest. 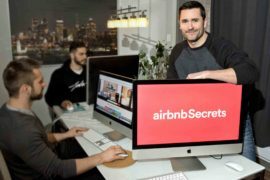 As a new Airbnb user, you will love taking advantage of Airbnb’s referral system, which could make you earn you as much as $5,000 USD in Airbnb travel credits overall. If you are looking for an Airbnb coupon, I can only assume that you are a new to Airbnb. To learn how to open a great Airbnb profile, start by watching the step-by-step video below. 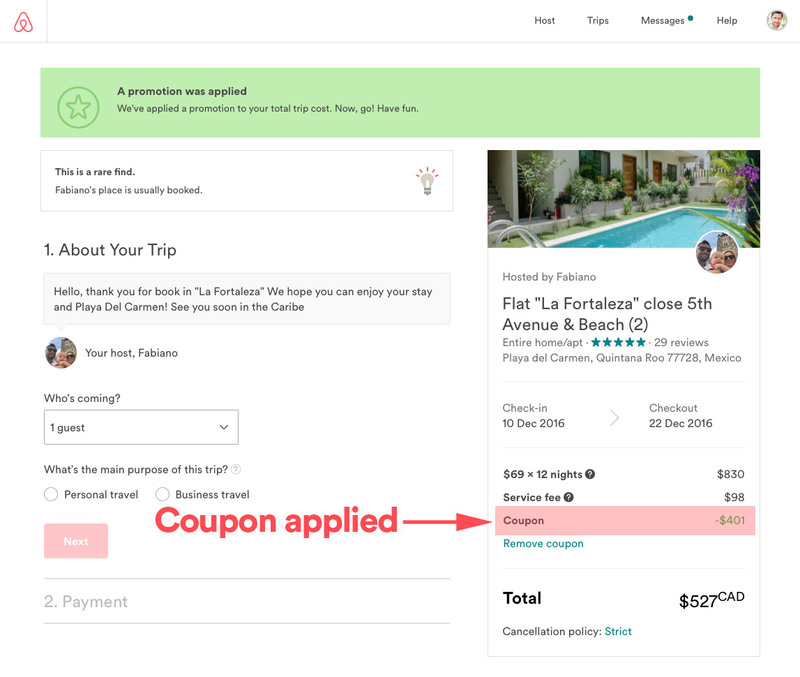 By using my Airbnb referral link, your Airbnb coupon credit will be applied automatically on your next qualifying reservation as an Airbnb Guest. There is one thing I didn’t do back then, though. At the time, I never bothered giving them my Airbnb coupon link, which I realized years later, was a costly mistake on my end. First, by not giving my Airbnb coupon code to my closed friends and loved ones meant they never received any referral money from Airbnb when they opened their profile. 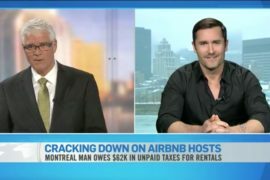 This totally sucked for them because many of them started using Airbnb as Guests right away and it would have given them “free Airbnb money” to pay for their first Airbnb trip if they had used my link. Second, as much as I loved Airbnb, I never got compensated financially to promote it while I was telling everyone I knew about it. And this, my friend, ended up costing me a lot of Airbnb coupon referrals over the years. Nowadays, each time I tell someone I know about Airbnb, I invite him or her to use my Airbnb coupon code via text or email, which is good for all of us. 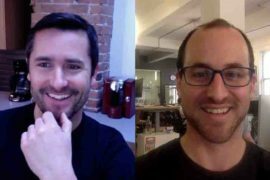 Since then, I’ve generated several thousands of Airbnb referral dollars that I’ve used to travel the world via Airbnb. Have you ever heard of Airbnb Open? It’s the biggest hosting event that Airbnb organizes each year. Last year, it was held in Paris and five thousand Hosts from all around the world showed up to this travel conference, including me. My boyfriend and I ended up spending two weeks in France for this event and guess what? It ended up costing us $0 in accommodation to live in Paris for the entire trip because we used my Airbnb coupon money to pay for our Airbnbs. Here’s a picture of us in front of Moulin Rouge. 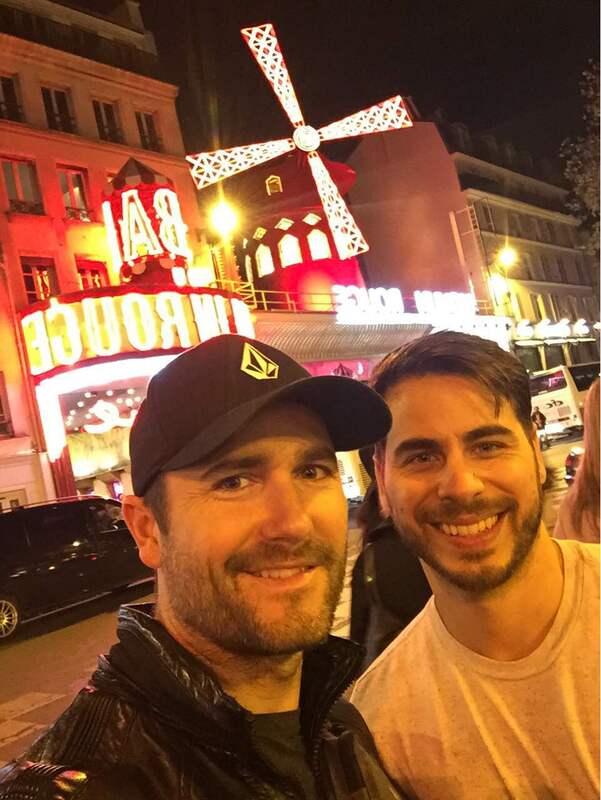 It was our first trip together in Paris and it sure was a memorable experience! 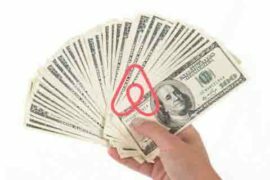 By inviting your own group of people, such as friends and family, on Airbnb, you too could earn thousands of dollars of Airbnb referral money and the people you invite will also get Airbnb travel credits. Once you open your account using my Airbnb referral link, Airbnb will provide your own referral link. It’s located at the top right of your Airbnb screen in the dropdown menu under your picture. 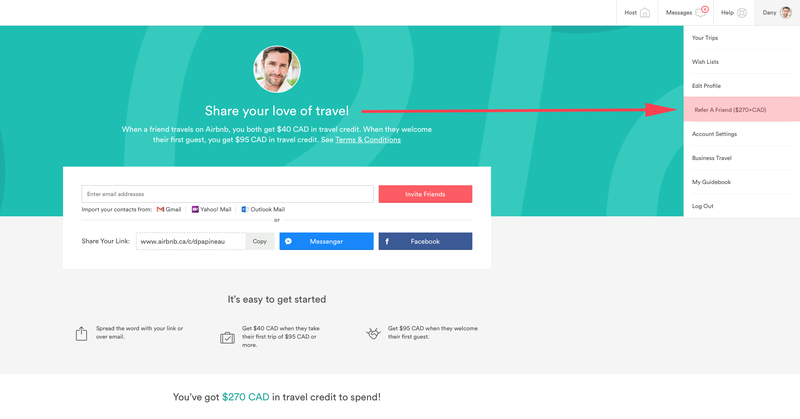 To begin earning travel credits, you can send your link to your friends or family via different social media networks or email. When a friend clicks your link, they will receive credit that will automatically apply towards their first reservation with Airbnb. Meaning, the credit will show up automatically on the checkout page of any qualifying reservation. When your friend completes their first qualifying reservation, you’ll earn travel credit to use for your own Airbnb reservations. Take note you’ll receive your travel credit after the departure date of your friend’s trip. 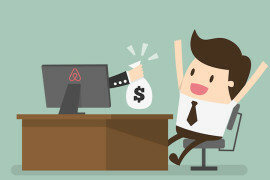 But the great things about Airbnb’s referral program is that for each person you refer, there are actually two opportunities for you to earn travel credit: you earn credits when your friend completes a qualifying reservation as a Guest and also when they complete a qualifying reservation as a Host. 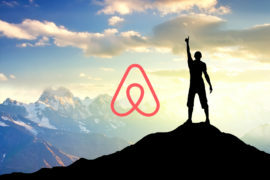 You can earn up to $5,000 USD in Airbnb travel credit overall! To qualify, a reservation usually needs to have a total value of $75 USD or more, excluding guest fees and any taxes. These amounts may vary during promotional periods. Your available travel credits automatically appear as a coupon on the checkout page of your reservation request. If the travel credits aren’t automatically added, it means the reservation doesn’t qualify. 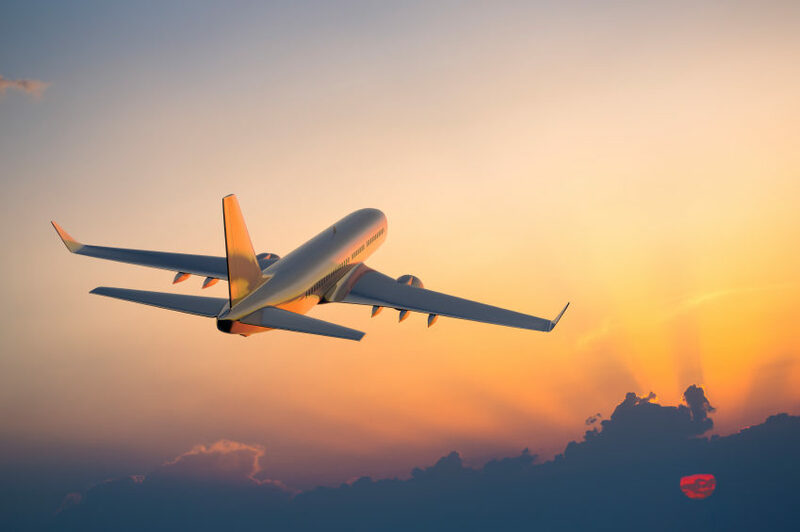 Take note that travel credits can’t apply to a trip that has already been paid for, but they will be available and applied to your next qualifying reservation. They expire one year from the date they’re issued and can only be used once. They’re also not reusable if you cancel a reservation where the credits were applied. To learn more useful Airbnb tips, make sure to enter your email below.